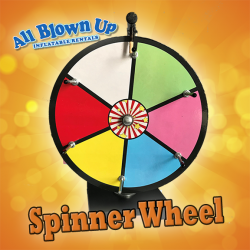 Our Spinner Wheel will make your next carnival or festival even more exciting! At only 14'' tall, it doesn't take up too much space. It also features dry-erase surfaces so you can customize the wheel to fit your needs.